Contemporary, Good Read, Red Hot Reads, Review, Samhain Publishing, Toe Curler!! 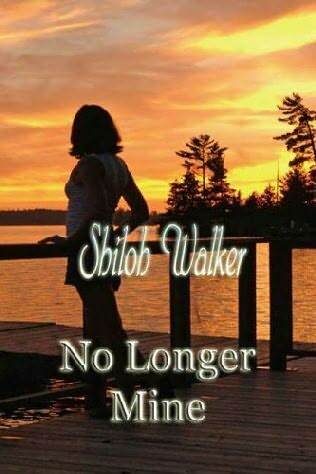 Originally published in 2006, Shiloh Walker recently re-released this title, this time with revisions from its original release. I remember reading this book when I first learnt of and became a fan of Ms. Walker’s books and back then somehow this book didn’t settle that well with me mainly because I thought the hero was too callous towards the heroine when she lost so much in her life. However I think with the revisions this story has become a much better tale with the ability to touch the hearts of those who read it. Nikki is the girl who comes from the wrong side of town with two brothers who are hoodlums, an alcoholic father and a mother who committed suicide rather than face life head on. However the friendship which turns to love between Wade and Nikki is stronger than all the elements put together. Nikki working on her way towards becoming a full fledged writer is on the verge of tying the knot with Wade when she finds out that Wade has impregnated Jamie Sawyer, the girl who has been after Wade forever. Jamie was a drunken mistake Wade couldn’t bring himself to forgive. When Wade marries Jamie and moves on with her, it nearly kills Nikki. However the news that she is three months pregnant with Wade’s child is the only light at the end of the tunnel that pulls her out of the darkness and into the world of living. Things don’t go well for Nikki even after her son Jason is born. A freak accident during a thunderstorm kills her beloved son Jason when he is barely a year old. This time the pit Nikki falls into is too deep to find her way out of it on her own. Her writing and her family are the only things that keep the bare shell of a Nikki going. And when she meets Wade and his daughter Abby the pain and betrayal Nikki feels is so intense that its as if someone wrenches her heart out and stomps on it. Wade not knowing all the trauma that Nikki has gone through actively pursues her because though he married Jamie out of a sense of duty, he had never ever stopped loving Nikki. There is no happy ending for these two until they are both able to let go of the past, forgive, forget and move on, though its easier said than done when the hurt runs too deep for us even to start empathizing with. I loved reading the improved version of this story. I guess as Ms. Walker herself has pointed out, this wasn’t one of her best works, but when revised this book does make for a decent read, one that I couldn’t put down once I started.